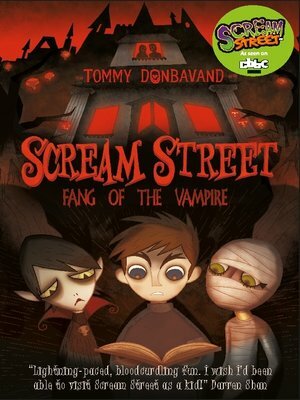 In Scream Street, Luke and his parents discover a nightmarish world of the undead. Luke soon makes friends with vampire Resus Negative and mummy Cleo Farr, but he remains determined to take his terrified parents home. After liberating the powerful book Tales of Scream Street from his new landlord, Otto Sneer, Luke learns that the founding fathers of the community each left behind a powerful relic. Collecting together all six is his only hope of opening a doorway out of the street, so with the help of Resus and Cleo he sets out to find the first one, the vampire's fang. But with Otto Sneer determined to thwart him at every turn, will Luke even get past the first hurdle alive?